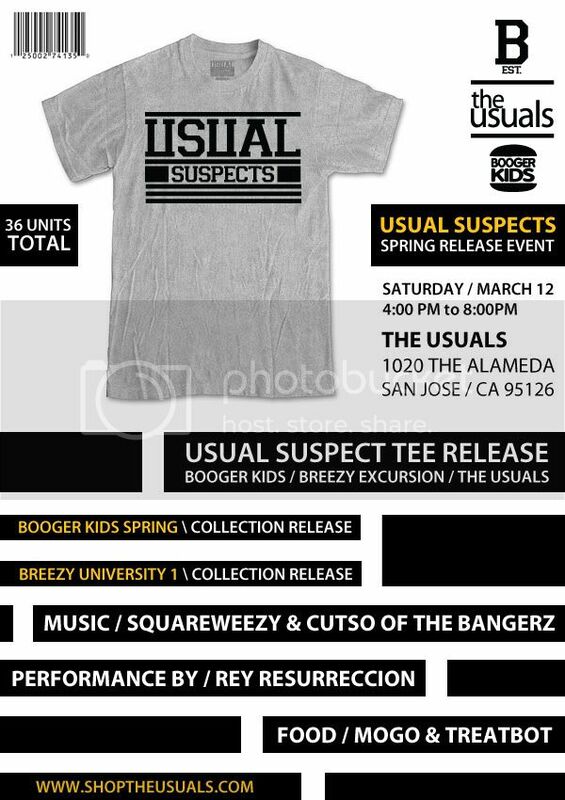 The San Jose Blog: The Usuals Spring Release Event Today! The Usuals Spring Release Event Today! This isn't your every-day generic clothing store. The definitive San Jose clothier is launching their spring line today between 4 and 8pm, and they're doing it in style. You'll have music from 2 of the Bangerz, a performance by local hip hop artist Rey Resurrecction, and culinary delights from MOGO and Treatbot!